With 128MB Ram, and an 030 cpu this miggy is no slouch. OS3.9, 8GB Compact Flash hard disk preloaded with all the best software on WHDload, and a built in CDROM means it plays all the CD32 stuff to better effect than a real CD32. 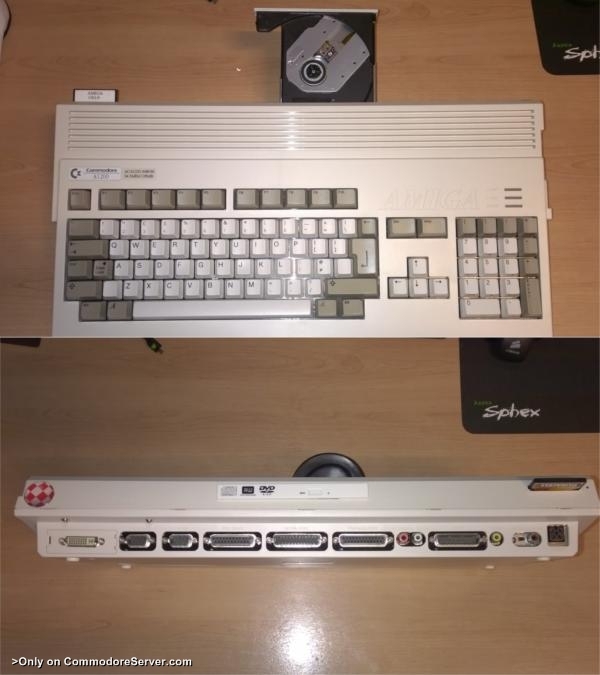 3.1 ROMs and an HD ready DVI board gives the pixel perfect OLED/LCD screen display the AGA Amiga always yearned for. Internet is taken care of with an APNET PCMCIA adapter, EasyNet and I-Browse.